This conference is part of the Oxford-Paris Alexander project (OPAL), a joint initiative between the Bibliothèque nationale de France and the Ashmolean Museum, Oxford funded by the Labex les Passés dans le Présent and the AHRC. OPAL, directed by Dr Frédérique Duyrat and Prof. Andrew Meadows, explores the possibilities offered by Linked Open Data and the Semantic Web to preserve and make available the physical heritage of the coinage issued in the name of Alexander the Great, a unique and transformative phenomenon across an area from the modern Balkans to Afghanistan. 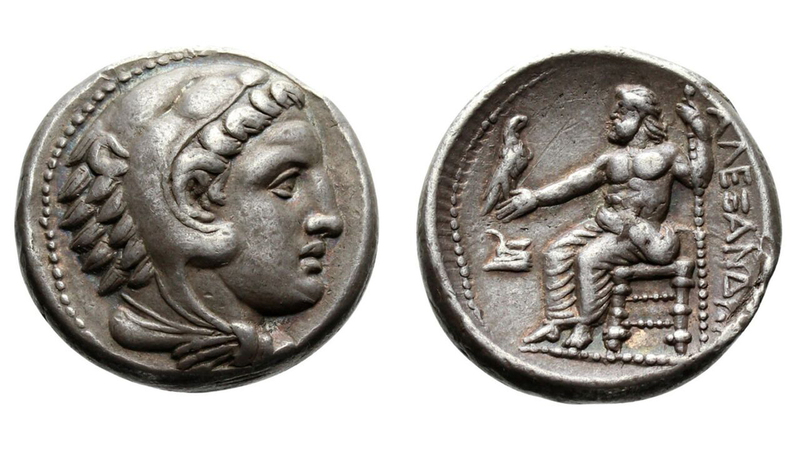 The conference will investigate the homogenizing effect of the coinage of Alexander the Great on the economic history of the Mediterranean, the Near East and Central Asia as well as advertising and exploring the value of amalgamated collections. We will look at the new tools created by Linked Open Data and the Semantic Web as well as their technical composition. It will present new research on the coinage of Alexander, much of which made possible by new opportunities afforded by the PELLA tool. And we will conclude by focussing particularly on the legacy of Alexander the Great, from shortly after his death to the present day, and discussing the importance of preserving such transnational heritage and the role in this that projects like OPAL and PELLA can play.